In this beginner’s course on VueJS, we will go from the absolute basics of a framework, including concepts such as DOM and setting up a development environment, to understanding core Vue features, essential workflows and best practices. You will work through 20+ hands-on exercises to solidify your command on essential Vue concepts. Vue offers the best of Angular and React and features a component based architecture that let’s you break down your app or even an interface into manageable and scalable functional units. VueJS apps offer incredible performance that is neck to neck and even better than some of the leading web app frameworks in use today. Vue features a Virtual DOM that is lighter than the rest and delivers impeccable performance. Build and Integrate Vue micro apps into existing websites. Build complete data driven single page web applications. Fetch data from third party APIs. Use Vue’s Single File Component architecture for building large scale apps. Incorporate routing in your single page Vue apps. Power your Vue apps using Google’s Firebase Realtime Database. Secure your Vue apps using Firebase Authentication. Deploy Vue apps on the web. If you’re a web designer, developer or even a project manager with a goal to master or pick a web application framework for your project, but are too afraid to begin, then this is your chance to finally realise your dream. Vue is surprisingly simple to learn, which makes it a winner and enables existing production grade projects and teams to incrementally bring it into their ecosystem. One of the best things about this course is the personalised hand-holding that I offer to all my learners. As a student of this course, you are invited to interact with me and seek help. It is my endeavour to ensure your success. All lessons come with start and end files and I’m committed to updating this course in line with Vue’s evolution and future. Vue has gained tremendous ground and its community is growing exponentially. So, hop on in and together, learn VueJS. Sachin began dabbling with Computer Programming & Graphics at the age of 14 on a Sinclair Spectrum Home Computer using the BASIC language. During the early 2000s, Sachin was instrumental in crafting web based CRM solutions for a prominent Internet Service Provider in India. 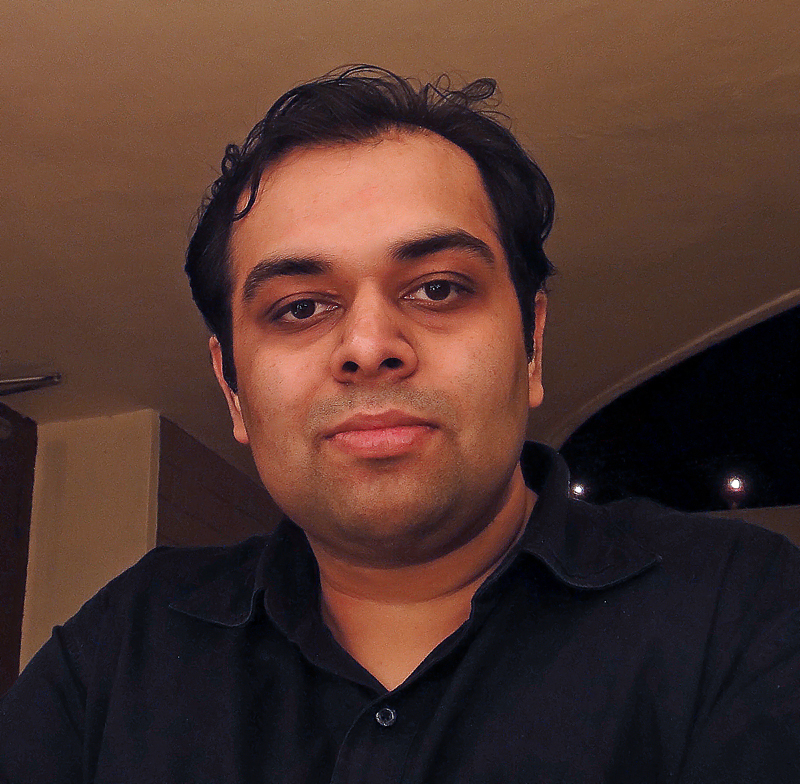 In 2001, Sachin ventured into Computer Graphics & Visual Effects training and production. From developing world class curriculum to imparting training to over five thousand students in the classroom and over twenty five thousand online on platforms such as Sitepoint Premium, Udemy and Packt Publishing, Sachin has been instrumental in fuelling innovation, creating brand identities and crafting world class software solutions for corporate companies and individuals alike. Sachin has also supervised award winning animation and visual effects short films and has worked with one of India's top most Media & Entertainment Education brands as a Vice President. Sachin's first love is coding and he strongly emphasizes its importance to all students. With a strong background in design and programming, Sachin is also a budding writer and a world cuisine connoisseur. With over 15+ years of Industry experience in industries as diverse as Software Development, Animation, Visual Effects, Film Making, Education & Brand Management behind him, Sachin strongly believes in perseverance, attention to detail and logic as mantras to a successful professional life.